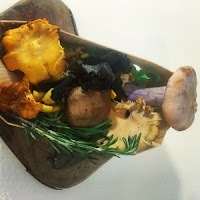 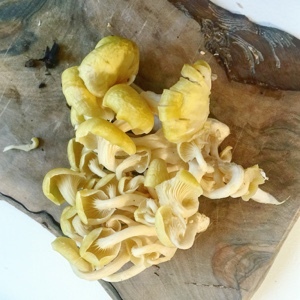 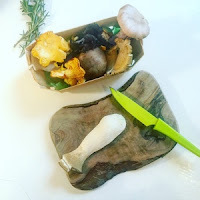 Last week I popped down to Turnips in Borough Market to pick up some Jerusalem artichokes, when I spotted their seasonal mushroom boxes. Unable to resist temptation, I ended up with one in my basket. 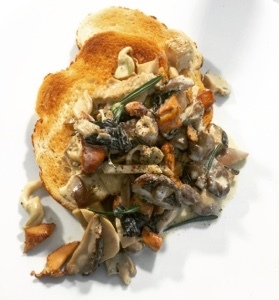 In the past I've used the mushrooms in slow cooked beef stews - however this weekend I lazily fried them up and served on bread. Keeping the dish simple let the flavour shine through, whilst also allowing you to whip it up in a matter of minuets. 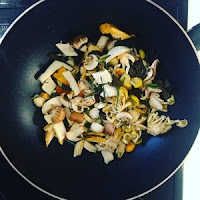 For an experiment, I was pretty pleased with the results. 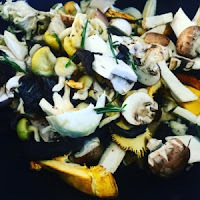 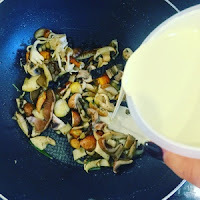 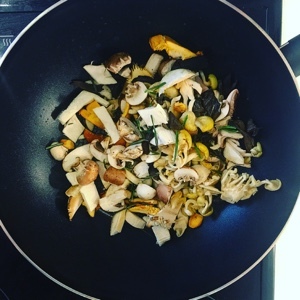 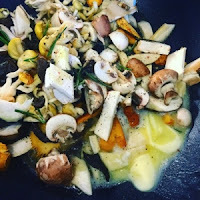 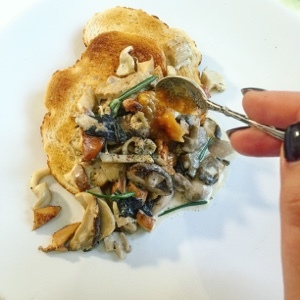 To make this yourself: roughly cut the mushrooms, strip the rosemary and throw into a non-stick pan. Add a large knob of butter and fry - season to taste with salt and pepper - and drizzle with a generous helping of double cream. 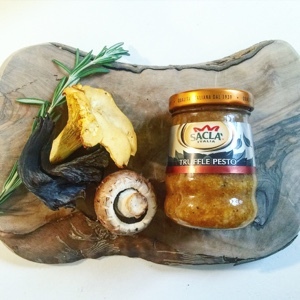 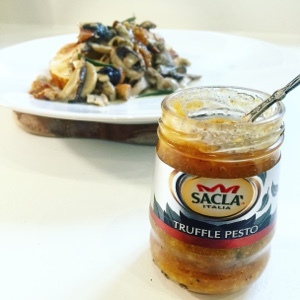 Ladle onto toasted tiger bread and finish with a spoonful of Sacla's Truffle Pesto to add a pungent autumnal taste. Et voila - a rustic start to the day which is sure to keep you full until lunchtime.